American vocalist and composer Laura Brunner hails from Columbus, Ohio. Musically trained as a multi-instrumentalist Laura perhaps most known for her powerful voice, musical versatility, and innovative improvisation and vocal sounds. Laura has shared the stage with an extraordinary array of musicians such as Kurt Elling, Ellis Marsalis, Sheila E., Esperanza Spalding, Camila Meza, and the Columbus Symphony Orchestra. Past performances include The Montreux Jazz Festival, The Boston Pops Jazz Festival, The International Association of Jazz Educators Conference, and the Betty Carter Jazz Ahead Program at the John F. Kennedy National Center for the Performing Arts. Laura is an award winning jazz vocalist, winning second place in New York City’s Jazzmobile Vocal Competition. 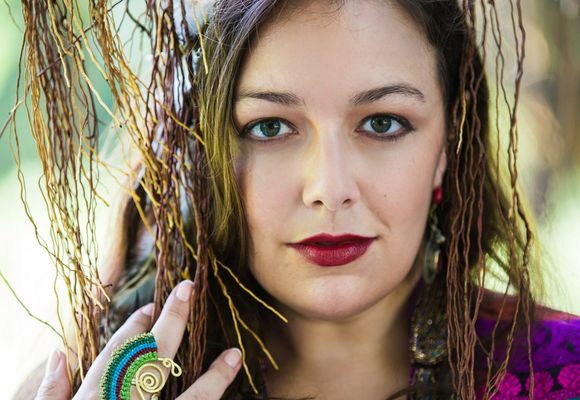 In addition to live performances Laura has been a featured profiled artist on WGBH Boston’s National Public Radio and famous New York City Webcast Capsulocity.